The new rotor sharpening centre in India will expand Maag’s service footprint in Asia, which is one of the world’s fastest-growing regions for plastics manufacturing and processing. It is the eighth rotor sharpening workshop for Maag, expanding the company’s capabilities beyond Brazil, China, Germany, Malaysia, Taiwan, Thailand, and the US. “This is a big step forward for Maag in Asia. We consider India as one of the most interesting and fastest-growing markets and we decided to be proactive in serving our customers and the industry in India,” said Thomas Willemsen, vice president of business development for after sales and service centres, Maag, a Dover Corporation Company. Maag has made a significant investment in the grinding equipment which makes the new centre the most modern facility in India, according to Willemsen. In addition to high-quality grinding service for rotors, bed knifes and die plates, Maag offers also short delivery times and service support through its qualified service technician for its customers. Maag’s rotor sharpening service can handle a broad range of standard rotors and bed knifes which are used in plastics pelletising. The 1000 m2 production facility in Gujarat is large enough to accommodate future expansion plans, the company said. Maag manufactures gear pumps, pelletising systems, filtration systems and pulverisers for demanding applications in the plastics, chemical, petrochemical, and food industries. 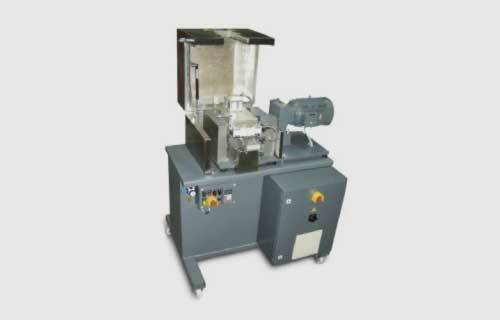 It develops, manufactures, and distributes innovative, customised solutions for complete pump and pelletising systems.